Find a new Ram 1500 at your local Staunton, IL Ram dealership. Overview At Staunton Chrysler Dodge Jeep Ram in Staunton, Illinois, we have an impressive selection of Ram trucks available, including the powerful Ram 1500. With incredible towing capabilities and great fuel economy, the Ram 1500 is the perfect work and play partner. 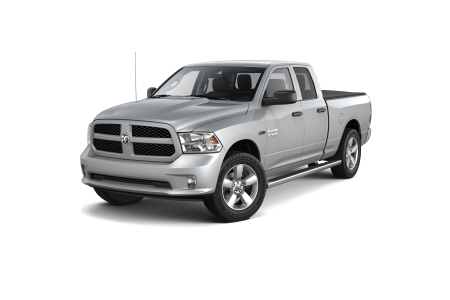 Visit our Staunton, IL Ram dealership today for an exciting test drive! Why Us? The sales team at Staunton Chrysler Dodge Jeep Ram is ready to help you through the entire car-buying process. That means from the moment you step foot in our dealership, we will be committed to finding your perfect Ram model at the best price. Our team is here to get you behind the wheel of your dream car. For genuine customer service that you can trust, give us a call or stop by our Staunton, IL Ram dealership to see what we're all about! When it comes to keeping your car, truck, or SUV running smoothly, our auto parts and service department delivers ten-fold. Our team of certified car technicians can take care of all your automotive maintenance and vehicle repairs. We offer oil changes, transmission replacements, engine tuneups, extensive body repairs, and more. We'll get you back on the road quickly and safely. Schedule your next automotive service appointment with our Staunton, IL service department today!